I haven't been doing much sewing lately. Since I am the favourite DIL I take my MIL to all her doctors appointments, she ended up in the hospital with heart problems. She is home now and doing better. Back to the being the favourite DIL, it might have something to do with being as I'm the only DIL, so that indeed does make me her favourite. She is very easy to get along with and a very caring person. I am lucky and have no MIL horror stories to tell. Running back and forth to the hospital and takes a lot of time and I didn't feel like sewing when I got home. I am also dealing with some medical problems of my own. 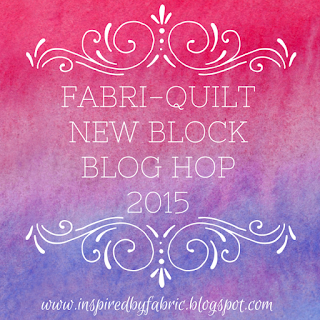 I did however work on my block for the Fabri Quilt Blog Hop. You can read more about it here. I even made a test block already. Want to see a sneak peak. Can't really tell much by that picture can you? I guess you'll just have to wait until Sept 2nd to see more. I did do some mindless things like, getting my alpha beads glued to the flower head pins. I used Gorilla Glue, I like it better than super glue. You can read more about the alpha beads here. I glued the beads to the flat side of the flower head. See the yellow pin on the right side the bead was glued to the other side. They are super cute. They work great no more sticking little papers on my cut fabric pieces. Why didn't I think of this before? Do you have a favourite way of keeping track of your cut pieces? I am also lucky have a wonderful MIL and whole in-law family. I am sorry to hear that you and she are having medical difficulties, and I hope you are both well on the mend. The Dil mil relationship can be tricky. You are lucky. I'm going to try your glue idea. I was lucky with my mil too , I was the favourite but unfortunately we had many many hospital appointments for me to take her too . 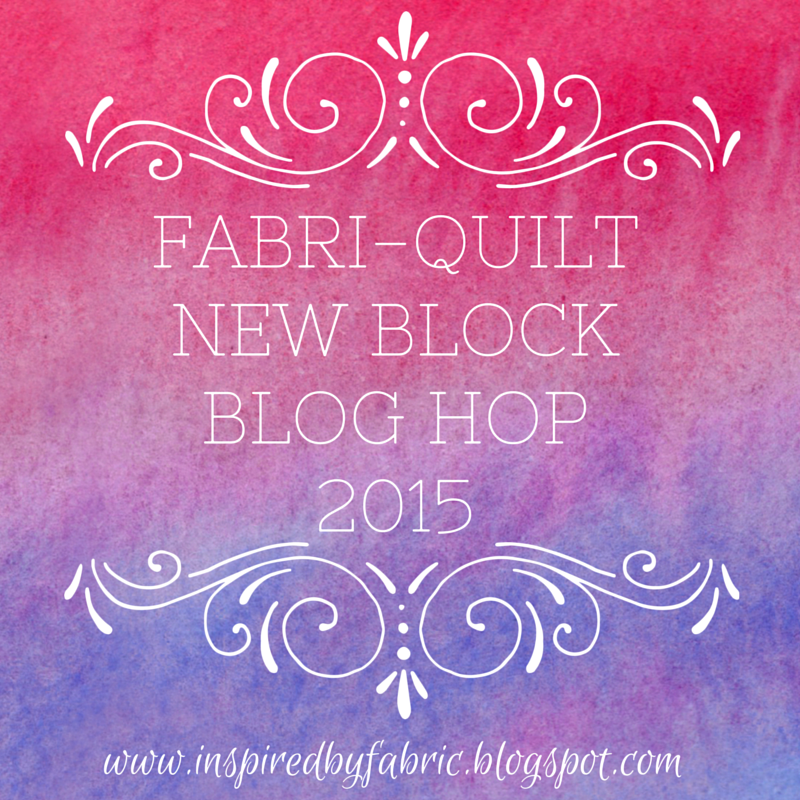 Look forward to seeing your block , mine is all in my head ! Yep! Glad to say me and MIL have got on better and better as the years have gone by. Just wondering what sort of MIL I'm shaping up to be? Hope health and time soon favour you getting back to sewing. I was blessed with a wonderful mother-in-law too. She was a good role model. I'm glad yours is feeling better now. Heart problems are scary. Cindy, I hope that your own medical troubles get much better too! 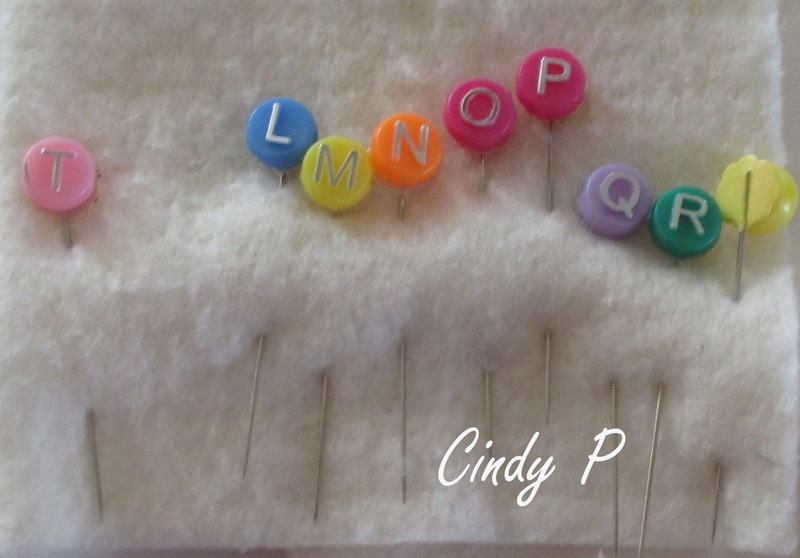 I really love your alphabet pin idea - very clever!